Author:Stein, Rick. Book Binding:Hardback. Each month we recycle over 2.3 million books, saving over 12,500 tonnes of books a year from going straight into landfill sites. All of our paper waste is recycled and turned into corrugated cardboard. Author:Victor de la Serna. The Finest Wines of Rioja & Northwest Spain. Book Binding:N/A. Book Condition:GOOD. Each month we recycle over 2.3 million books, saving over 12,500 tonnes of books a year from going straight into landfill sites. Author:Sevilla, Maria Jose. 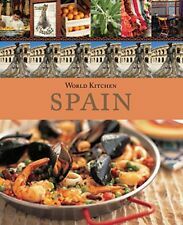 Spain on a Plate: Spanish Regional Cookery (BBC cookery series). Book Binding:Paperback. Each month we recycle over 2.3 million books, saving over 12,500 tonnes of books a year from going straight into landfill sites. Tapas: Delicious Little Dishes from Spain (Cookery). Author:Small, Ryland Peters &. Publisher:Ryland, Peters & Small Ltd. Book Binding:Hardback. We appreciate the impact a good book can have. We all like the idea of saving a bit of cash, so when we found out how many good quality used books are out there - we just had to let you know! Author:Murdoch Books. Publisher:Murdoch Books. We appreciate the impact a good book can have. We all like the idea of saving a bit of cash, so when we found out how many good quality used books are out there - we just had to let you know! Pure Gold of Spain: First Olive Oil Cook Book. Book Binding:Hardback. We appreciate the impact a good book can have. We all like the idea of saving a bit of cash, so when we found out how many good quality used books are out there - we just had to let you know! Author:Cases, Penelope. Book Binding:Paperback. Book Condition:VERYGOOD. We appreciate the impact a good book can have. We all like the idea of saving a bit of cash, so when we found out how many good quality used books are out there - we just had to let you know! Tapas: A Bite of Spain. Book Binding:Paperback. Each month we recycle over 2.3 million books, saving over 12,500 tonnes of books a year from going straight into landfill sites. All of our paper waste is recycled and turned into corrugated cardboard. Tapas are the wonderfully tempting little dishes of food that are traditionally served with sherry in southern Spain. 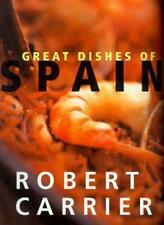 This book features a selection of tapas recipes. Author:Righter, Evie. The Best of Spain: A Cookbook. Book Binding:Hardback. We appreciate the impact a good book can have. We all like the idea of saving a bit of cash, so when we found out how many good quality used books are out there - we just had to let you know! Cooking in Spain. Book Binding:Paperback. Each month we recycle over 2.3 million books, saving over 12,500 tonnes of books a year from going straight into landfill sites. All of our paper waste is recycled and turned into corrugated cardboard. Author:Pepita Aris. We appreciate the impact a good book can have. We all like the idea of saving a bit of cash, so when we found out how many good quality used books are out there - we just had to let you know! Author:Floyd, Keith. Floyd On Spain. Book Binding:Hardback. Each month we recycle over 2.3 million books, saving over 12,500 tonnes of books a year from going straight into landfill sites. All of our paper waste is recycled and turned into corrugated cardboard. Author:Leigh Beisch. Tapas: Sensational Small Plates from Spain. Publisher:Chronicle Books. Book Binding:Paperback. Book Condition:GOOD. Each month we recycle over 2.3 million books, saving over 12,500 tonnes of books a year from going straight into landfill sites. WINES AND LANDSCAPES OF SPAIN. Author:Watson, Jeremy. Book Binding:Hardback. World of Books Ltd was founded in 2005, recycling books sold to us through charities either directly or indirectly. Book Condition:GOOD. Author:Jeffs Esq. Q.C., Julian. The Wines of Spain. Book Binding:Hardback. Each month we recycle over 2.3 million books, saving over 12,500 tonnes of books a year from going straight into landfill sites. Tapas: The Little Dishes of Spain. Author:Casas, Penelope. Book Binding:Hardback. Book Condition:VERYGOOD. We appreciate the impact a good book can have. We all like the idea of saving a bit of cash, so when we found out how many good quality used books are out there - we just had to let you know! 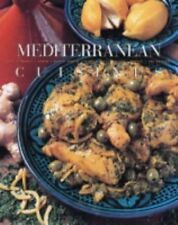 Culinaria Spain: Spanish Specialities (Culinary Recipes). Book Binding:Hardback. Book Condition:GOOD. Each month we recycle over 2.3 million books, saving over 12,500 tonnes of books a year from going straight into landfill sites. Author:Aris, Pepita. 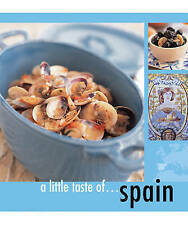 Essential Food and Drink: Spain (AA Essential Food & Drink Guides). Publisher:AA Publishing. Book Binding:Paperback. We appreciate the impact a good book can have. We all like the idea of saving a bit of cash, so when we found out how many good quality used books are out there - we just had to let you know! New Tapas: Culinary Travels with Spain's Top Chefs. Author:Dunlop, Fiona. Can't find what you're looking for?. Book Binding:N/A. Book Condition:GOOD. Each month we recycle over 2.3 million books, saving over 12,500 tonnes of books a year from going straight into landfill sites. Author:Jenny Chandler. The Real Taste of Spain: Recipes Inspired by the Markets of Spain. Book Binding:Hardback. Can't find what you're looking for?. We appreciate the impact a good book can have. We all like the idea of saving a bit of cash, so when we found out how many good quality used books are out there - we just had to let you know! Author:John Radford. The New Spain: A complete guide to contemporary Spanish wine. Book Binding:Hardback. Each month we recycle over 2.3 million books, saving over 12,500 tonnes of books a year from going straight into landfill sites. Author:LeBlanc, Beverly. Spain: The Food and the Lifestyle (Food of the World). Book Binding:Hardback. We appreciate the impact a good book can have. We all like the idea of saving a bit of cash, so when we found out how many good quality used books are out there - we just had to let you know! Author:Trutter, Marios. Culinaria Spain. Book Binding:Paperback. Each month we recycle over 2.3 million books, saving over 12,500 tonnes of books a year from going straight into landfill sites. All of our paper waste is recycled and turned into corrugated cardboard. Author:Nestor, Tin Lujan. Spain: A Cook Book. Book Binding:Hardback. We appreciate the impact a good book can have. We all like the idea of saving a bit of cash, so when we found out how many good quality used books are out there - we just had to let you know! Title: Guia Penin: A Guide to the Wines of Spain Item Condition: used item in a good condition. Books will be free of page markings. Will be clean, not soiled or stained. Author:Murdoch Books. Publisher:Murdoch Books. A Little Taste of Spain. Can't find what you're looking for?. Each month we recycle over 2.3 million books, saving over 12,500 tonnes of books a year from going straight into landfill sites. ISBN: 0600600602. AUTHOR: Pickford, Louise. TITLE: Bite-sized Spain. BINDING: Paperback. Acceptable - Very well read. Reading copy only. May have significant wear and tear and contain notes & highlighting. Title: Guia Penin: A Guide to the Wines of Spain. Title : Guia Penin: A Guide to the Wines of Spain. Product Category : Books. Binding : Paperback. Condition : Very Good. Dust Jacket : False. First Edition : False. THE NEW WINES OF SPAIN. Title: THE NEW WINES OF SPAIN. Authors: Lord, Tony. Binding: Hardcover. Condition: Used; Good. Weight: 681 Gms. Author:Sevilla, Maria Jose. Spain on a Plate: Spanish Regional Cookery. Book Binding:Paperback. Each month we recycle over 2.3 million books, saving over 12,500 tonnes of books a year from going straight into landfill sites. Tapas: The Little Dishes of Spain. Author:Penelope Casas. Each month we recycle over 2.3 million books, saving over 12,500 tonnes of books a year from going straight into landfill sites. All of our paper waste is recycled and turned into corrugated cardboard. Author:Paltrow, Gwyneth. Book Binding:Hardback. Each month we recycle over 2.3 million books, saving over 12,500 tonnes of books a year from going straight into landfill sites. All of our paper waste is recycled and turned into corrugated cardboard. The Cooking of Spain (A Sainsbury Cookbook). Each month we recycle over 2.3 million books, saving over 12,500 tonnes of books a year from going straight into landfill sites. All of our paper waste is recycled and turned into corrugated cardboard. Author: Penelope Casas ISBN 10: 0394540867. Title: Tapas: The Little Dishes of Spain Item Condition: used item in a good condition. Books will be free of page markings. Will be clean, not soiled or stained. Publisher: Murdoch Books ISBN 13: 9781741969627. Author: Murdoch Books ISBN 10: 174196962X. Title: A Little Taste of Spain Item Condition: used item in a good condition. Books will be free of page markings. Authors : Pickford, Louise. Bite-sized Spain. Title : Bite-sized Spain. Product Category : Books. Binding : Paperback. Condition : Very Good. List Price (MSRP) : 7.99. Signed : False. TITLE: Tapas: A Bite of Spain. BINDING: Paperback. Acceptable - Very well read. Reading copy only. May have significant wear and tear and contain notes & highlighting. CONDITION: Good. Good - Usual signs of a well read book but good overall condition. Publisher: Faber and Faber ISBN 13: 9780571175321. Author: Julian Jeffs Esq. Q.C. ISBN 10: 0571175325. Title: The Wines of Spain Item Condition: used item in a good condition. Books will be free of page markings. Author:Barrie, Susie. Each month we recycle over 2.3 million books, saving over 12,500 tonnes of books a year from going straight into landfill sites. All of our paper waste is recycled and turned into corrugated cardboard. Title: Tapas and More Great Dishes from Spain Item Condition: used item in a good condition. Publisher: Santana Books,Spain ISBN 13: 9788489954014. Will be clean, not soiled or stained. Author:Dunlop, Fiona. Book Binding:Hardback. We appreciate the impact a good book can have. We all like the idea of saving a bit of cash, so when we found out how many good quality used books are out there - we just had to let you know! Authors : H F Ullmann. Books, Comics & Magazines Other Fiction Books Other Non-Fiction Books Childrens & Young Adult Books General Fiction Books Children's Fiction Books. Condition : Like New. Dust Jacket : False. Author: Camilla Jessel ISBN 10: 185043235X. 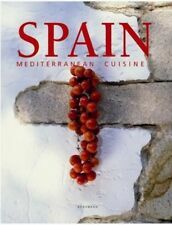 Title: The Taste of Spain: Traditional Spanish Recipes and Their Origins Item Condition: used item in a good condition. Books will be free of page markings. Title: Tapas. Delicious Snacks From Spain. Item Condition: used item in a good condition. Title: 50 Classic Tapas: The Famous Little Dishes of Spain Item Condition: used item in a good condition. Publisher: Southwater ISBN 13: 9781844765294. Books will be free of page markings.